Information which includes sports results, news, people of interest, and entertainment will stay in ‘Feed’ and is still the first screen that users will see. Also Cards got a minor UI tweak, with weather no longer showing a full week’s forecast. 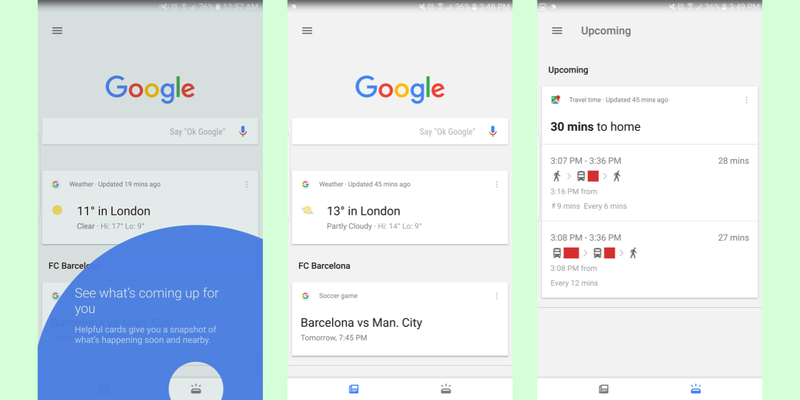 The first three or so cards shown at the top of the feed can be from a variety of sections and surfaces what Google thinks is the most important info for you. The sections for sport teams and other topics are more clearly labeled with bolder headers and separators. The remaining news cards are shown underneath. 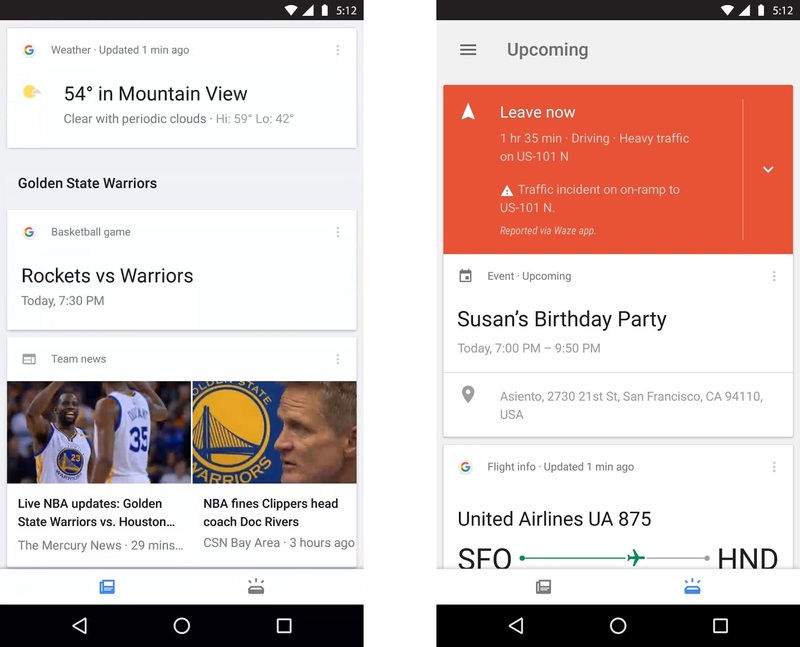 There will also be a new card to tell Google what interests you want to see more info and stories about. Meanwhile, ‘Upcoming’ will feature daily schedules, commute times, boarding passes package delivery info, and other tailored cards. Google states that this tab will provide a more “dependable view” compared to the previous version where personalized cards were mixed into more general interests ones. If you aren’t seeing it just yet, though, that’s likely because this is rolling out slowly. The beta track of the Google App received an update today, yet I still don’t have the tabs. I guess we’ll need to be patient. These changes are rolling out today on Android in the US, with more countries and an iOS update coming soon.